By David Keeling. 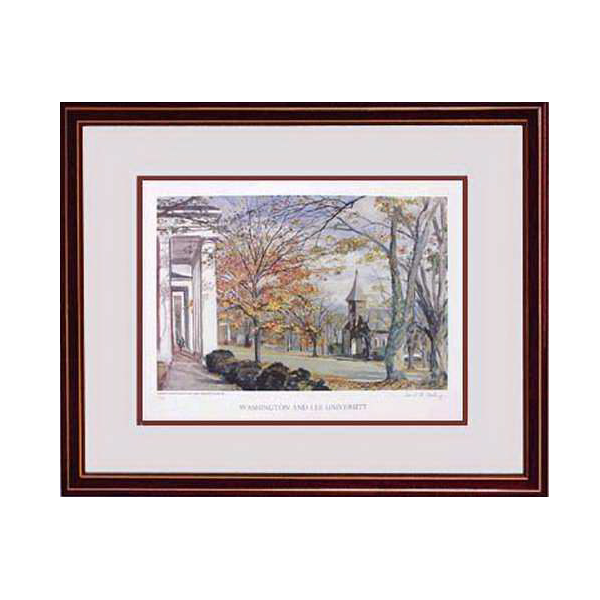 This print was commissioned by the Bookstore at Washington and Lee University. It provides a lovely view along the Colonnade and to Lee Chapel on a sunny autumn afternoon. Double-matted behind glass, in a Mahogany-stained, varnished, wood moulding (19.5 x 16.5). $30 shipping override.